The adoption of drones by the NYPD could effect departments across the nation. More than a dozen unmanned aerial vehicles (UAV) will be used for search and rescue, to investigate hazardous materials, and to access crime scenes in tall buildings. The move is particularly significant benchmark for U.S. law enforcement agencies because smaller police departments often follow the lead of larger, big city forces like the New York Police Department (NYPD). “The NYPD has a trailblazing effect when it comes to new technology and almost all aspects of policing,” said Christopher Dickey, author of “Securing the City: Inside America’s Best Counterterror Force," which chronicled groundbreaking technology innovations within the NYPD under former police commissioner Ray Kelly, following the 9/11 terror attacks. The New York City Fire Department has used drones to monitor fires but, until now, the New York Police Department had relied on drones that belong to law enforcement partners. “As the largest municipal police department in the United States, the NYPD must always be willing to leverage the benefits of new and always-improving technology,” said Police Commissioner James O’Neill. “Our new Unmanned Aircraft System (UAS) program is part of this evolution -– it enables our highly-trained cops to be even more responsive to the people we serve, and to carry out the NYPD’s critical work in ways that are more effective, efficient, and safe for everyone,” O’Neill said. The drones will be unarmed and not equipped with facial recognition technology, according to a department spokeswoman who added they would not be used for warrantless surveillance. Specially-trained officers from the department's Technical Assistance Response Unit (TARU) will operate the drones, the department said. 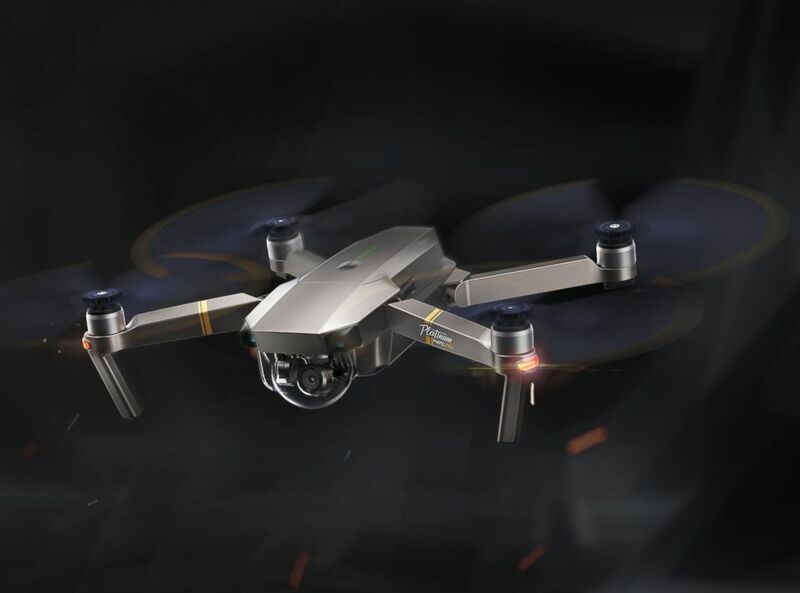 (DJI Technology Inc.) A DJI Technology Inc. Mavic Pro Platinum drone is pictured in an undated marketing image. Still, the use of drones by New York police continue to raise concerns among civil liberties and privacy advocates, some of whom were consulted by the NYPD prior to the unveiling of the new drone program, according to the New York Civil Liberties Union (NYCLU). The NYPD has a trailblazing effect when it comes to new technology and almost all aspects of policing. "While we appreciate the NYPD’s willingness to meet with us before it announced this program, we believe the new policy falls far short of what is needed to balance the department’s legitimate law-enforcement needs against the privacy interests of New Yorkers,” NYCLU associate legal director Christopher Dunn said in a statement. Dunn said the group is concerned about the lack of restrictions on police deployment of drones in the city. Law enforcement officials with extensive experience flying drones as part of their work said that two of the most common and valuable uses of the devices are for 3-dimensional digital crime scene and accident reconstruction. 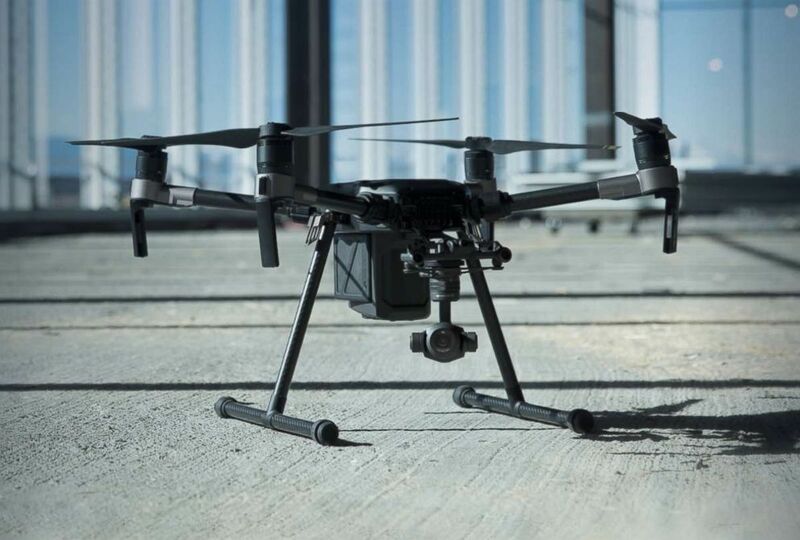 (DJI Technology Inc.) A DJI Technology Inc. M200 series drone is pictured in an undated marketing image. Using drones for accident reconstruction can dramatically shorten the time it takes to measure, evaluate and clear a highway crash, freeing up miles of backed up traffic in a few minutes rather than a few hours. “That scenario, where [accident investigators] can do their measurements in just a few minutes – that’s got major implications in the next five or ten years,” said Ben Miller, director of research and development at Colorado’s Department of Public Safety. Drone usage is also on the rise in crime scene investigations and reconstructions. “You’d never ask for a million dollar satellite for a homicide investigation, but if you can put a drone up in the air for $25 or $30 bucks, it’s more than worth it,” said Miller, a law enforcement drone pioneer who flew the devices for the Mesa County Sheriff’s Department, which was one of the nation's first law enforcement agencies to incorporate drones into their department's work. “Like a lot of law enforcement agencies, our first thoughts were, ‘Cool! Let’s use it for tactical missions -- for chasing bad guys across the county,’” Miller told Reuters in 2013. More than 900 public safety agencies are currently operating drones, according to a recent study by Bard College's Center for the Study of the Drone. The center estimates that the number of public safety agencies using drones has spiked 82 percent in the past year. Normally, the nation's largest police departments, including the NYPD and the Los Angeles Police Department are leaders in policing innovations but drones are a unique type of law enforcement tool -- and experts say there is good reason for a department like the NYPD to proceed with caution in creating their own drone program. “Some of the big [police] departments have taken a wait-and-see approach, especially if you’ve got areas that service large, dense populations it can be beneficial for the department [to wait], because there can be a lot more pushback” from the public, said Dan Schwarzbach, executive director of the Airborne Public Safety Association, a non-profit that supports and promotes the use of drones among public safety agencies. The Seattle Police Department scuttled it's nascent drone program in 2013 after an outcry from Seattle residents concerned about unlawful surveillance and other privacy issues. Those fears of intrusive surveillance have subsided, to some degree, in recent years, experts said. Still, Schwarzbach said, the rate of law enforcement adoption of drones is rapidly increasing due to innovation, falling price points and a gradually more accepting attitude towards responsible drone use among much of the public. “I’ve got [airborne rescue] success stories coming in all the time, and for every one helicopter or airplane public safety success story, I get ten UAS success stories,” he said, using industry terminology for drones.